Notary Stamps and Embossing Seals - Next Day! When Impressions are mandatory on dated or registered documents, Next Day Notary is the only way to mark it. 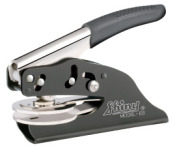 You never have to question an impression made by the Notary Pre-Inked, Self-Inked, Rubber stamp or the crimped Notary embosser you design and order. 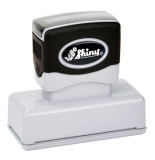 The smooth operation of either the Pre-inked stamp or traditional Notary embosser will put a smile on your face when making your mark. The impression you create will be bar none! 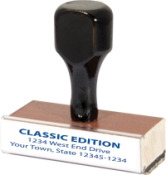 Notary Stamps and Embossing Seals are used by reputable Law practices, Accounting & CPA's firms, to Real Estate and Title Companies, in addition to City Planners or Engineers. Design and create here and now, proof it, - like it, - love it, - and submit order for same day shipping or choose express overnight for a Next Day delivery. 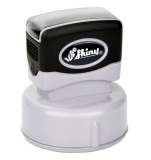 Create your notary stamp, proof it, submit order and receive SAME DAY Shipping or choose overnight for NEXT DAY Delivery.